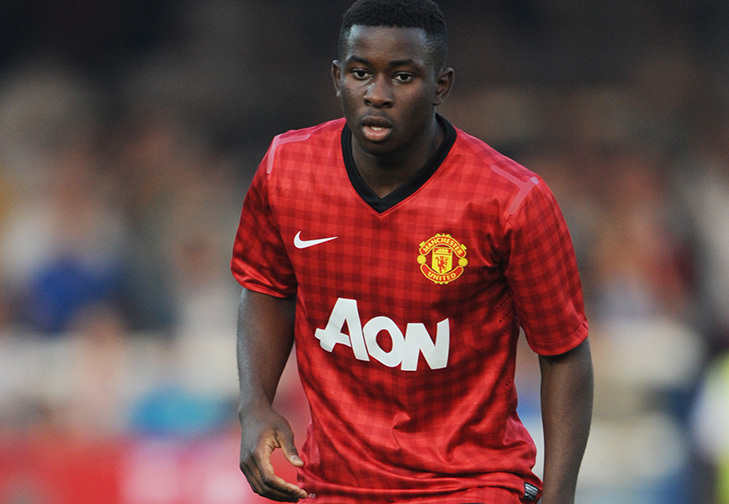 Larnell Cole scored twice as Manchester United won the Barclays U21 Premier League last year, but he or Manchester United will not feature in this new competition. In a bid to enhance youth football prospects in England, the Premier League have launched the Barclays U21 Premier League Cup. 51 academies will participate in this season’s inaugural edition but Manchester United, Spurs and Liverpool have opted out of the competition. Four Premier League clubs, Hull City, Cardiff City, Crystal Palace and Swansea City, will be in the draw for the first two rounds that will be made tomorrow. ‘The introduction of an Under-21 cup creates another competitive opportunity for players up and down the country, which can enhance and support what we’re doing with the Barclays Under-21 Premier League,’ said Premier League Director of Youth, Ged Roddy. ‘Players who come through the academy system have been playing on training grounds since they were nine in some cases,’ Roddy said. The competition will be played on a regional basis until the Round of 16, where the draw will be national. The final will be played over two legs at the home stadium of the participating teams, much like the FA Youth Cup. Entrants at Qualifying Round 1 stage (category three academies) – Northern: Burnley, Doncaster, Hull, Wigan, Preston (one bye). Southern: AFC Wimbledon, Bournemouth, Bristol Rovers, Colchester, Exeter, Gillingham, Peterborough, Plymouth, Torquay, Watford. Qualifying Round 2 (category two academies) – Northern: Barnsley, Birmingham, Coventry, Crewe, Derby, Huddersfield, Leeds, Nottingham Forest, Sheffield United, Sheffield Wednesday (one bye). Southern: Brighton, Bristol City, Cardiff, Crystal Palace, Millwall, Queens Park Rangers and Swansea. Round of 32 (category one academies) – Northern: Blackburn, Bolton, Everton, Leicester, Manchester City, Middlesbrough, Newcastle, Stoke, Sunderland, West Brom, Wolves. Southern: Arsenal, Aston Villa, Chelsea, Fulham, Norwich, Reading, Southampton, West Ham.